A limited series of 44 golden iPhones featuring the portrait of Russian leader Vladimir Putin has been sold in just one day. The success of the sale proves that the patriotism in Russia is on the rise, says Italian luxury brand manufacturer Caviar Phone. 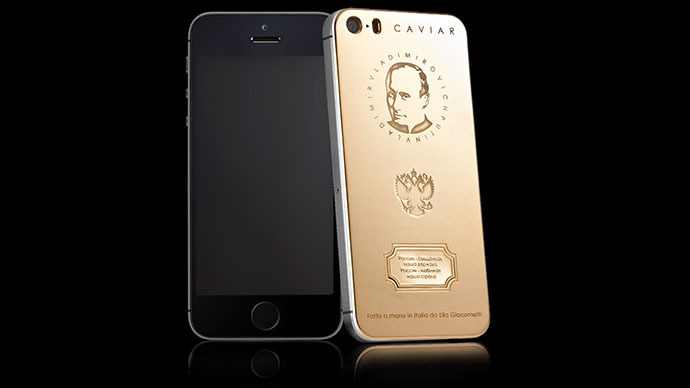 “A limited series of 44 golden IPhones with the portrait of the President of the Russian Federation Vladimir Putin, which became an object of attention from Russian and foreign media (from BBC to NewsRu.com), was sold in the first day of the sales starting,” Caviar Phone said in a statement about the mobile phones, which are being marketed under the brand “Supremo Putin.” The internet boutique produces exclusive items from Italian designer Elia Giacometti. Taking into consideration the success of the first series and a growing demand for IPhones with the portrait of the Russian president on them, the company decided to launch another series with Putin’s portrait on them. Among those who bought a luxurious phone with the famous leader’s image on them are representatives from business, politics and culture. A famous film director, a TV host, two top managers of an oil company and a gold medal winner of the Sochi 2014 Olympic Games have bought the iPhones, Caviar Phone said in its statement. The company didn’t reveal which countries the buyers came from. 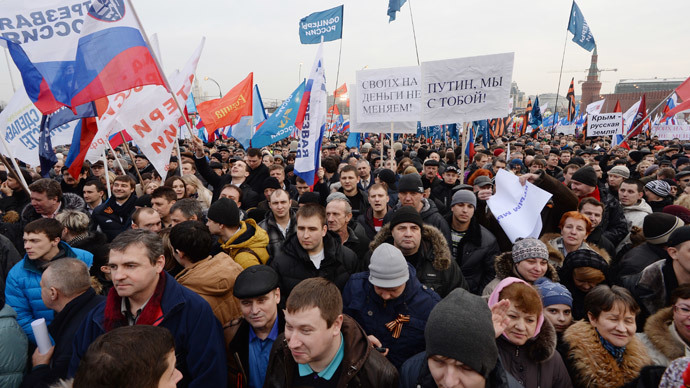 According to Caviar Phone, the high demand for the Putinphones demonstrates the rise of patriotism in the country. 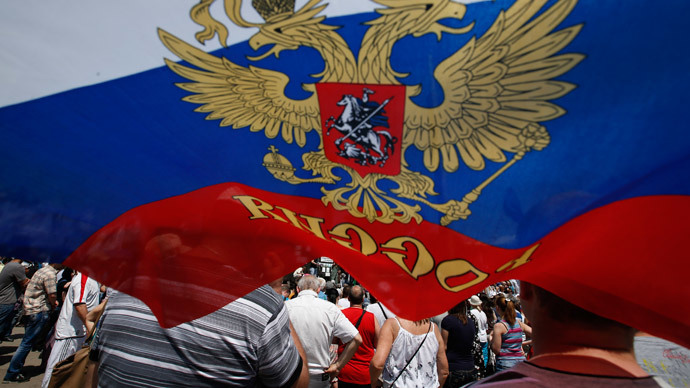 “Patriotism is no longer for the marginal youth – many wealthy Russians now are ready to express their position on this question [of patriotism] in such a nontrivial way,” the company said. The “Supremo Putin” Caviar iPhone5S went on sale with a price tag of 147,000 rubles ($4,350). Putin’s portrait, which is engraved on the gadget’s 18-carat gold case, is accompanied by the Russian coat of arms and the first two lines of the Russian national anthem. In the meantime, according to a recent poll conducted by the Public Opinion Foundation, at least 66 percent of Russian citizens want Vladimir Putin to continue as president after the end of his current term in office in 2018. The respondents especially praised his efforts in foreign policy and strengthening the Russian military. Two-thirds of Russians also claimed that Putin’s policies were fully in line with their own interests. The number rose from 36 percent in September 2012, to 66 percent in June 2014.